Check your mailbox (for a WW2 French one). 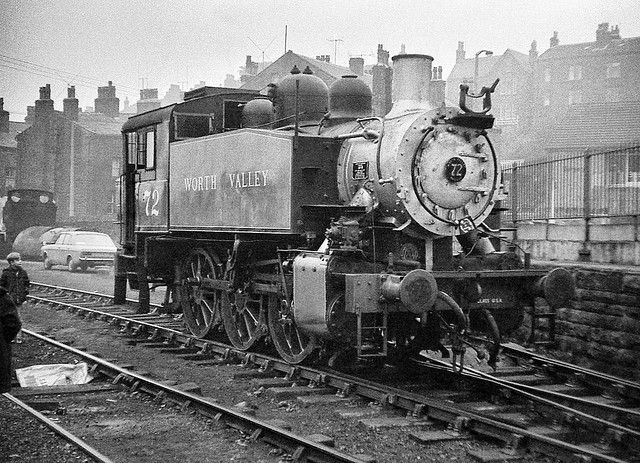 Large (the rather American looking 2-8-2 built built by Alco. 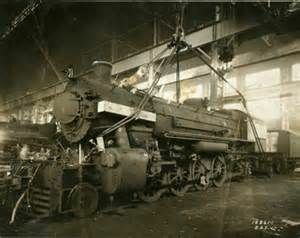 Here is a shot of the 2-8-2 getting ready to sprout wings and take a short flight through the erecting shops. 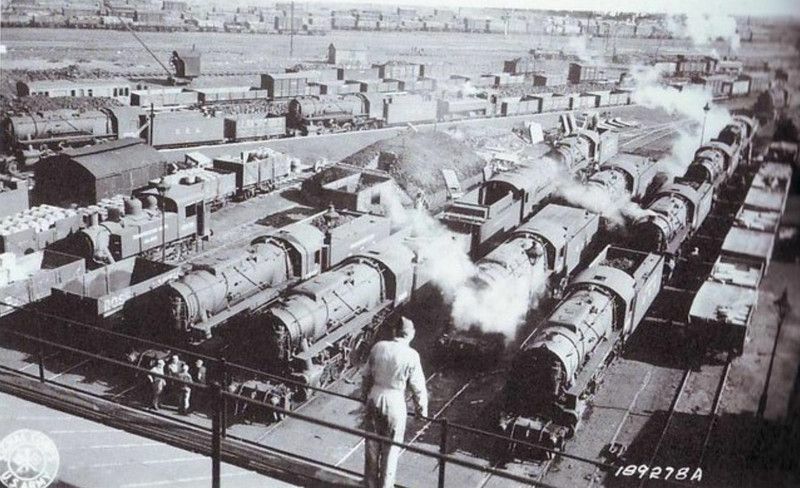 I have always loved the fact that locomotive shops and those shops designed to build armor fairly much look the same. Swords into plough shares I guess . . . 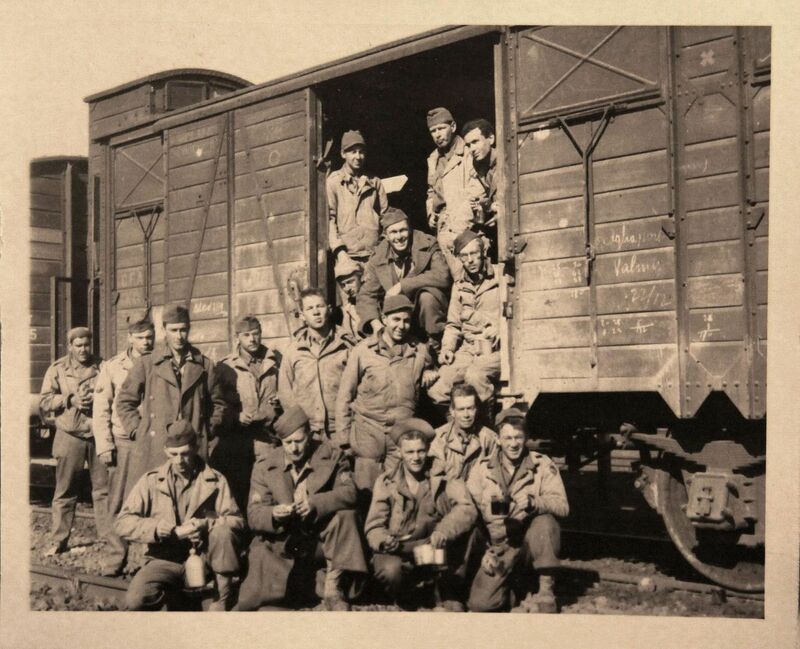 I am afraid I have to agree with Dennis' earlier remarks, about how unlikely it would be for one of the big Armor model companies to offer a US built locomotive that was used only in the continental US. 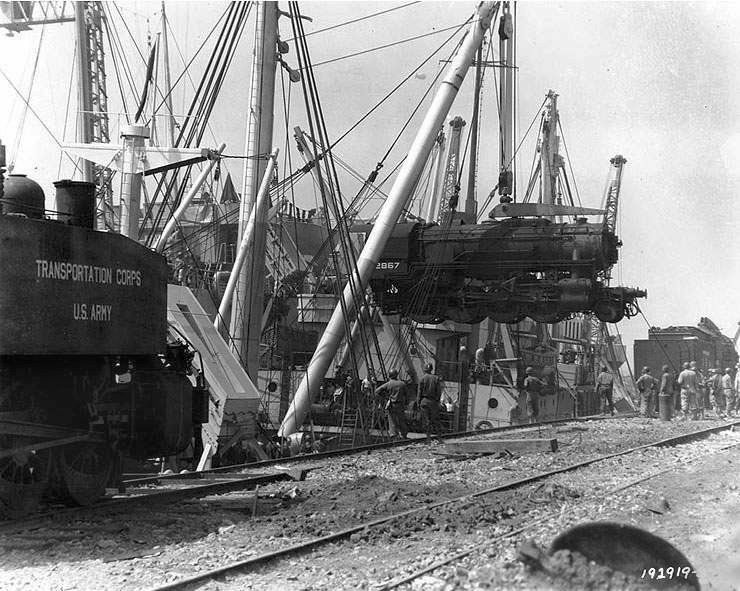 The locomotive selected, I think would have to be a prototype that would appear proper next to the three/four German locomotives already available in 1/35th. 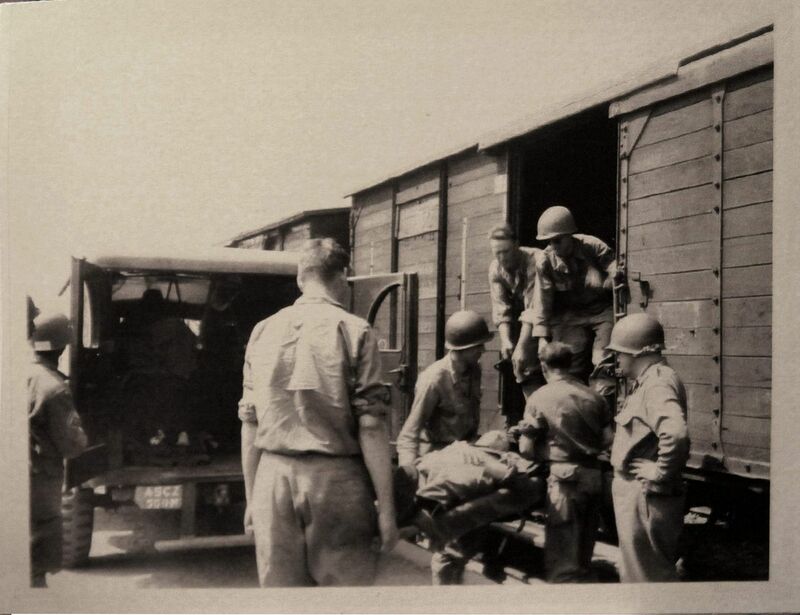 Clearly that would have to be one of the wartime USATC locos. 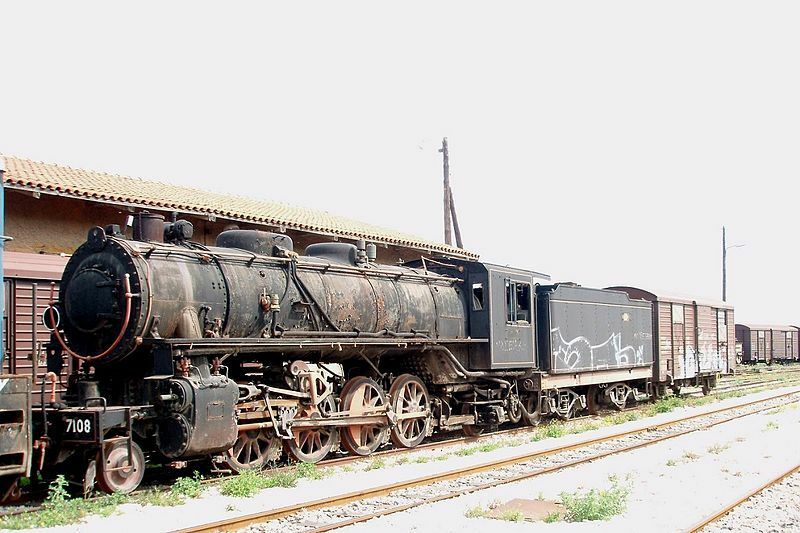 I have always loved the fact that locomotive shops and those shops designed to build armor fairly much look the same. 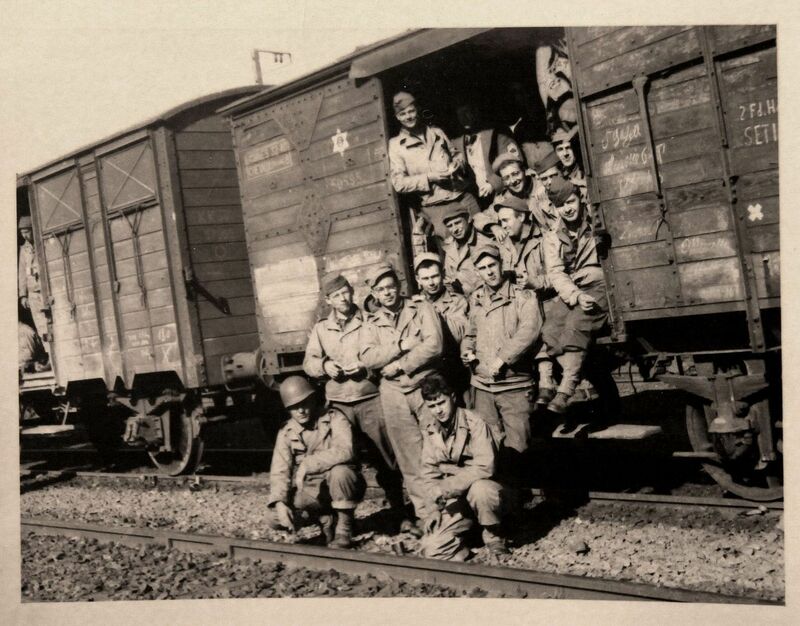 That is because much of the WW2 US armor was built by locomotive and freight car builders. They had the facilities and skills that could be easily converted for that task. Cass Scenic Railway 2013 - Photo by yours' truly. The first time I walked into the Boatwright armor repair facility on Ft. Knox I thought it was a locomotive shop! Swords into Plough Shares . . . . .
p.s. 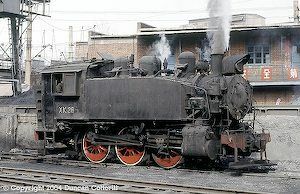 Just about every bit of engineering that I know today I learned, thanks to my Dad, from the steam engine. 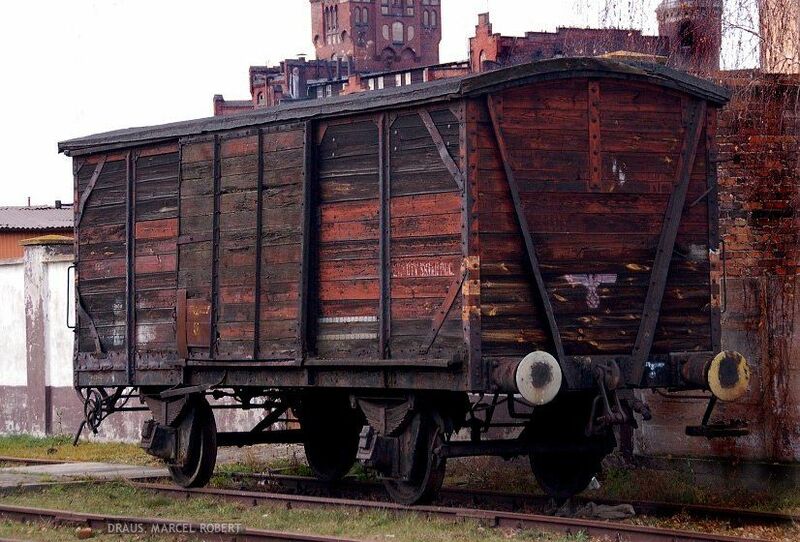 I wonder how many German prisoners understood the irony of their being taken to a humane location for the duration (sometimes all the way back to the United States) in the very same railroad cars in which so many others had spent the last days of their lives? 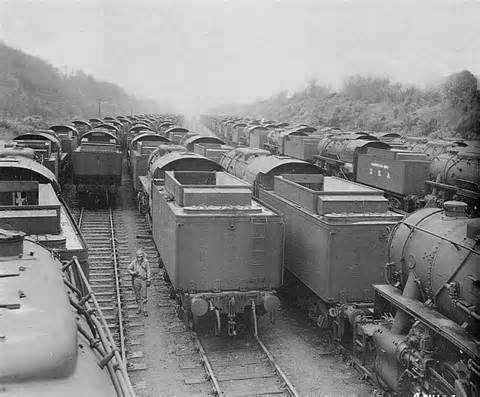 Movement of some Lend/Lease S-160 locos to staging areas in the UK - in the circus this would be referred to as the "baby elephant walk", nose to tail, nose to tail, nose to tail! Did you received the stuff I've sent you ? When comparing my HO LILIPUT Reichsbahn BR04 4-6-4 to one of my BROADWAY LTD NYC 4-6-4 Hudsons, the American locomotive, even with it's typical NYC "Racehorse Look", (Long, low, and perfectly proportioned.) is a larger, more robust piece of machinery. 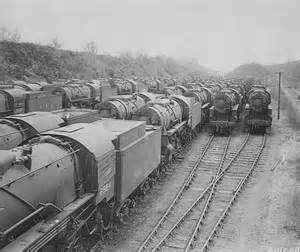 Just a bit of WWII trivia: When our WWII GIs first arrived in England, Scotland and Ireland, they thought the English steam locomotives and trains were just big toys. They especially thought the European whistles were hilarious- "They go PEEP! ", nothing like our American steamers' whistles BLASTING your face off if you got closer than a hundred feet away... No insult intended towards our British and European friends- Personally, the German Reichsbahn BR04 4-6-4 and the British Southern Rwy's A-Class Gresley 4-6-2 Pacifics are two of my favorite European Steamers! 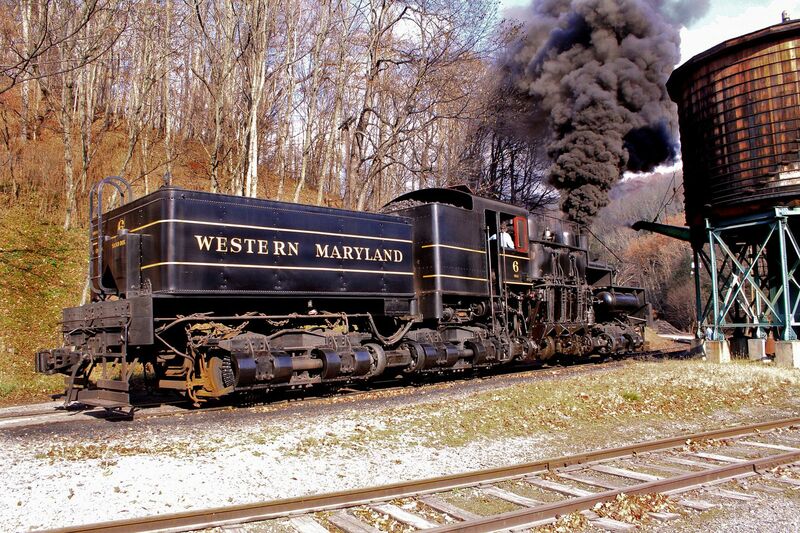 My favorite American locomotive? 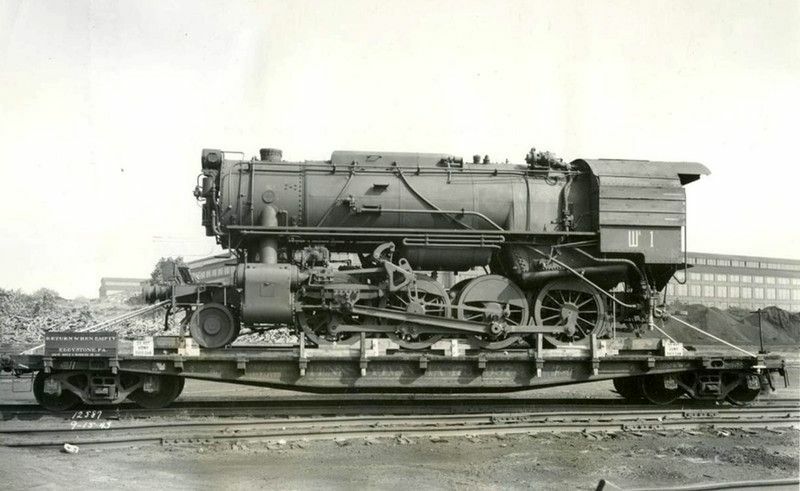 Hands down, the New York Central J-series 4-6-4 Hudsons, both in the standard and the streamlined 20th Century Limited Dreyfuss configurations. That BROADWAY LIMITED J3a streamlined "Super Hudson" of mine is GORGEOUS!!! Try not to let the hobby manufactures see all those little "stink bug" diesel photos or one of them will be the first US loco we see produced in 1/35th. 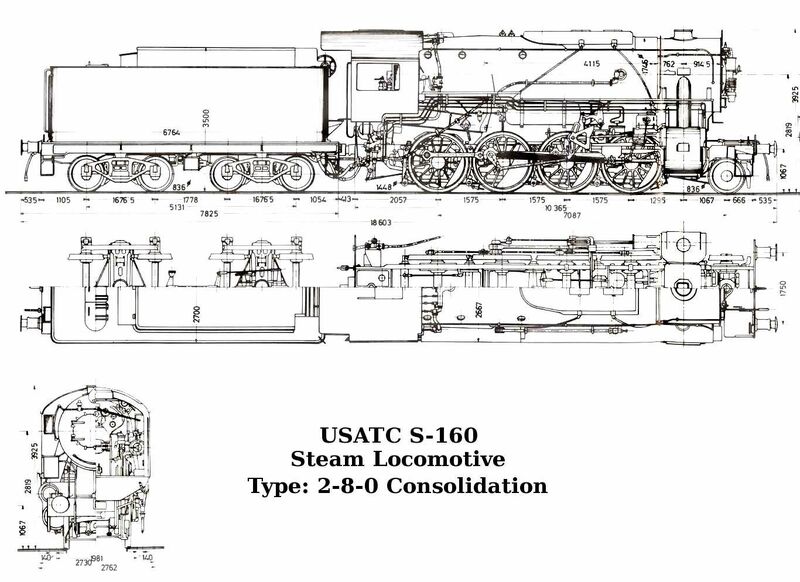 Talk about size: The S-160 USATC 0-8-0 model with tender in 1/35th would be around 21 inches long. Clear some more shelf space Honey! Throw out the 1/35th subs if you have to! The one in the Cassino picture is a 65-DE-14. Best broadside photo I have found to-date! Saw something cute last night in my readings: it said these USATC engines were referred to as the "Gipsy Rose Lee" engines, meaning: "striped and ready for action"! The same thought has been going thru my mind. 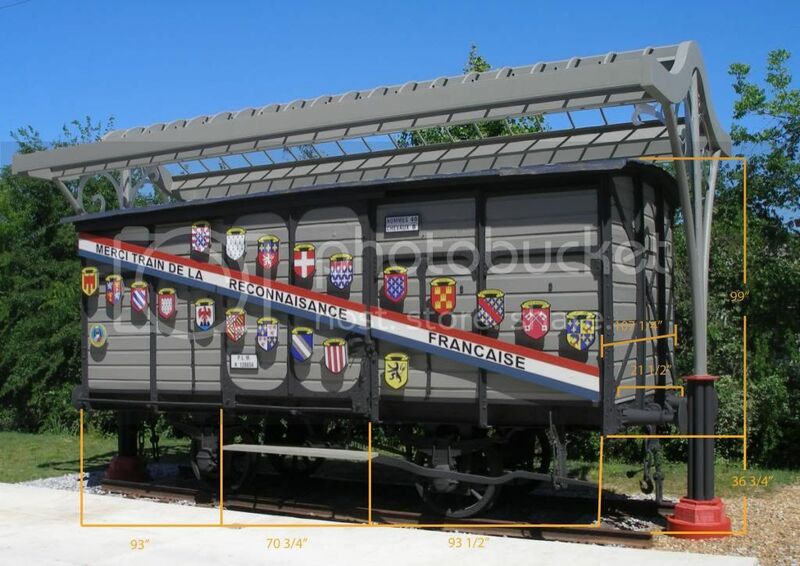 There was a company out of France call Ironside and they made a lot of rolling stock. I still have one of thies left to build. T have seen them on E-Bay.